Looking to be a gardener but have no confidence that you have green fingers? Do you want to garden but live in an apartment? Why not start your gardening journey by growing foliage plants? Most foliage plants, often also referred to as houseplants, can get by with moderate light conditions, watering and feeding, and generally require much less maintenance than sun-loving flowering and fruit-bearing plants. Many also grow well in commercial potting mixes or blends prepared for houseplants, easily available in most nurseries. 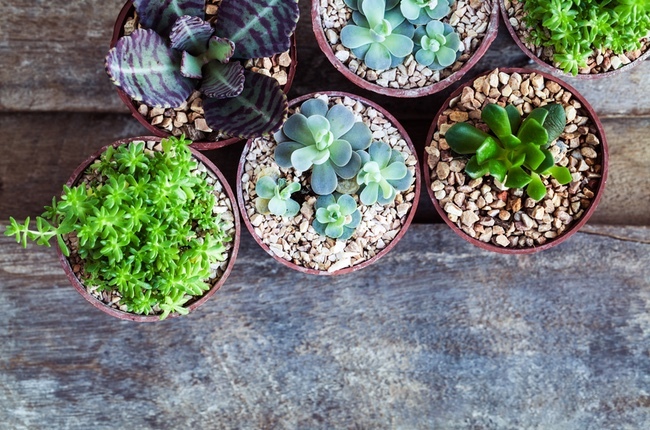 These fuss-free plants are perfect for busy urbanities who have packed schedules but still want to enjoy greenery in their homes. Most foliage plants are easy to maintain and have vibrant colours like reds, purple and yellow, easily adding colour to your home. The best part of foliage plants? While they initially only came in shades of greens, intensified breeding efforts in the past few years, have yielded new and colourful foliage such as vibrant reds, royal purples and striking yellow markings. This species is neither a Bamboo, nor does it originate from Japan. Rather, it is native to tropical Africa and comes from the same family as the edible asparagus (Asparagus officinalis). One of the least-demanding plants to grow, it thrives even with minimum maintenance. Apart from the forms with green leaves, forms with bright yellow markings and spots are also popular with gardeners. However, these coloured forms prefer much brighter conditions and do not thrive as well in dim light. These plants can be propagated by cuttings. Tolerant of high humidity and very still air, you often find fittonias in sealed terrariums. But whether they are grown in an enclosed setting or as potted plants in the open, take care not to overwater them as they will rot in waterlogged soil. While its foliage colours can range from white to shades of red, horticulturists separate the plants into two main groups – one with dark green leaves and white veins (Argyroneura group), and the other taller in height that have larger, dark green leaves with pink or red veins (Verschaffeltii group). The Caladiums are relatively easy to grow in Singapore’s climate; they like plenty of water but ensure careful watering to prevent waterlogging and provide good ventilation for better growth. They can be propagated by division of the parent plant. These plants are sometimes known as ‘mini yams’ as their leaves resemble the Cocoyam (Colocasia esculenta) that is grown in several countries for its edible tubers. Ideal for indoor planting, Aglaonemas require little care and maintenance. Modern hybrids produced in the past two decades have resulted in multi-coloured leaves in shades of reds and yellows. Grow these colourful hybrids under bright, indirect light to maintain the colour intensity in their foliage. Propagate Aglaonemas by division or stem cuttings. Do wear gloves when making cuttings and avoid contact with cut surfaces; sap from these plants can result in persistent itching. Most people will be familiar with the Money Plant (Epipremnum aureum), but the Silver Money Plant has foliage with predominantly mid- to dark-green base colours and silver markings. Native to Singapore, it can be found growing on tree trunks in the forest. Begonias generally grow well in areas with high humidity levels and bright, indirect light. Most thrive in commercial potting mixes or blends for houseplants that have good drainage. Keep the plants on a tray filled with moistened gravel. As moisture evaporates, it helps increase the humidity levels surrounding the plant. Begonias exhibit great diversity in form and are often separated into groups based on their growth form or parentage. Some common groups include the Rhizomatous Begonias, Cane Begonias, Shrub-like Begonias and Tuberous Begonias. The information for this article was adapted from My Green Space: Indoor Gardening Made Simple. This book covers the basics about gardening, suggests a wide selection of plant species suitable for growing indoors, and features 21 DIY gardening projects you can do. Grab a copy of My Green Space: Indoor Gardening Made Simple (retail price $19.90) online or from the Gardens Shop located at Singapore Botanic Gardens today! Put your horticulture skills to good use and contribute to the unique green ambience of Singapore by joining the Community In Bloom programme. Learn more about this initiative here. Plant enthusiasts and growers alike can also showcase their horticulture skills and compete for medals and trophies at the Horticultural Plant Competition during the inaugural Singapore Garden Festival Horticulture Show. This will take place from 27 April to 5 May 2019 at the upcoming Jurong Lake Gardens West. More details can be found here.